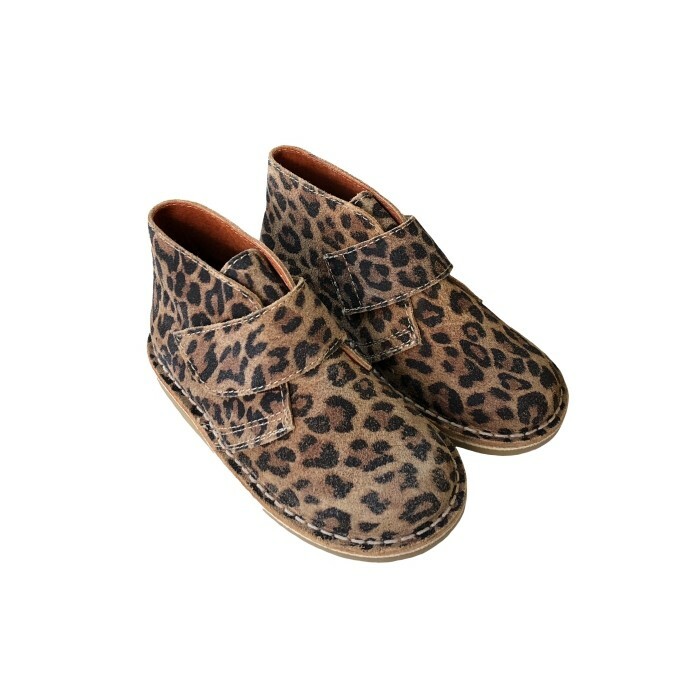 Leopard desert boots for children. Quality suede leather. 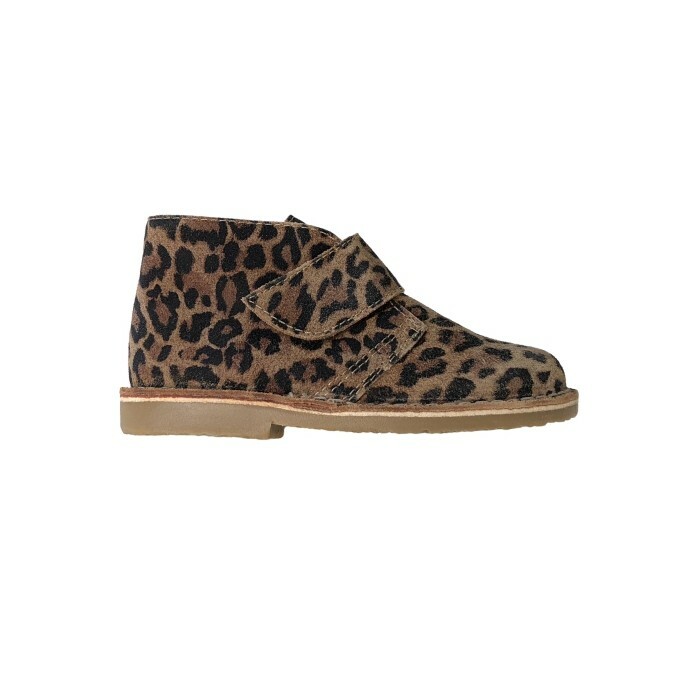 Lovely leopard booties for girls. They are always fashionable and you can combine them with many styles. 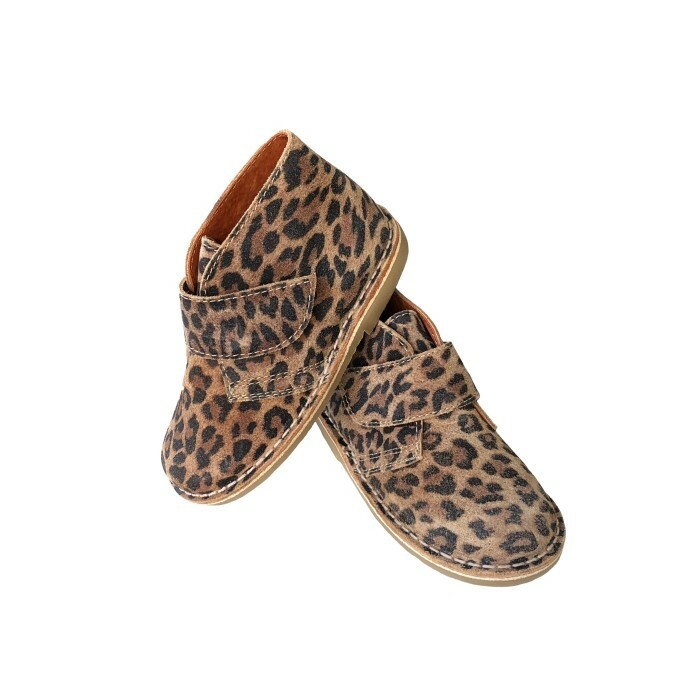 These desert boots are made with the same suede leather as always and with quality print, which will delight any girl. They are very cool! 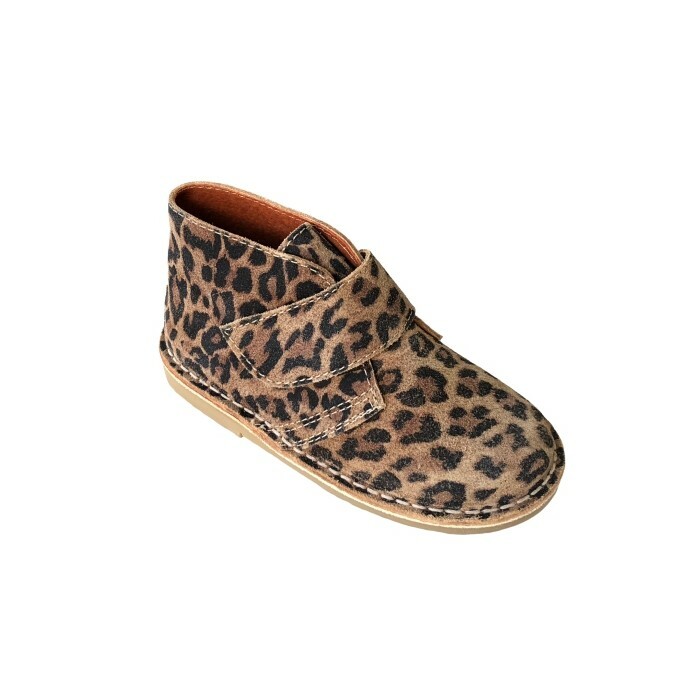 And as always, with the quality of Autenticasbotas. 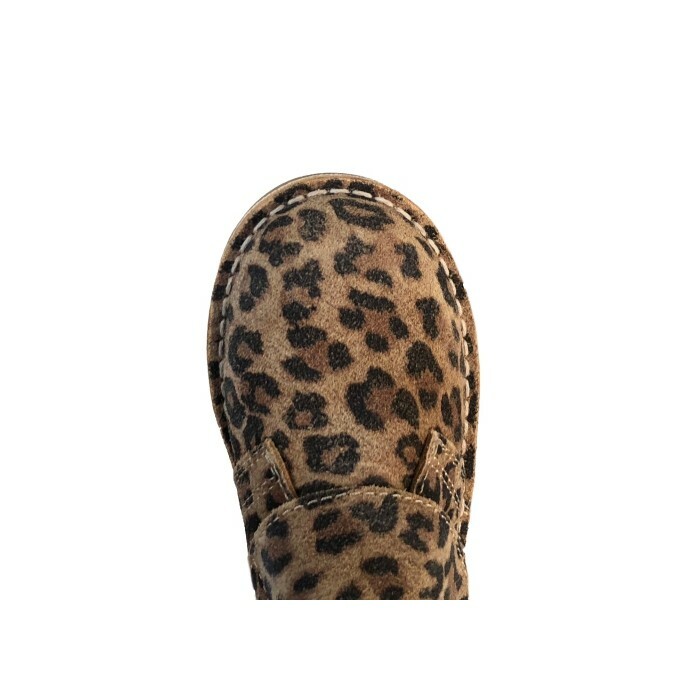 Good lasts, very good finishes and always made in leather.